Thanks to Alex Gurvich (CMU Astronomy Club President) and Corinne Hite (Pitt Space Exploration and Astronomy club president) the Amateur Astronomers Association of Pittsburgh (AAAP) will have some help promoting the value of dark skies in 2016. Along with their club sponsors and advisers and AAAP leadership they have secured funds to make this happen, Diane Turnshek, CMU and AAAP, facilitator. 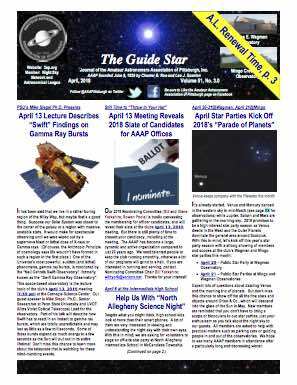 The Sprout Fund “Big Ideas” grant has awarded $1000 towards astronomy outreach at some AAAP 2016 Star Parties and University of Pittsburgh’s Allegheny Observatory has contributed $500. The funds will purchase an International Dark Sky Association (IDA) banner promoting the value of the night sky, light pollution activity kits and a Parashield glare visor for public demonstration. It’s both the first time the these university clubs will be collaborating and the first time they will travel to Wagman Observatory and Mingo Observatory. 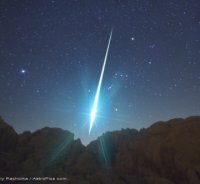 Updates and additional astronomy and AAAP information on AAAP’s Facebook Page. AAAP member Diane Turnshek has been honored by the International Dark-Sky Association with its Dark Sky Defender Award at its November 20, 2015 Annual Meeting. See the excerpt below from the Carnegie Mellon Faculty and Staff Newsletter. Congratulations Diane! The January 8, 2016 AAAP meeting takes place at Allegheny Observatory, not the Carnegie Science Center. 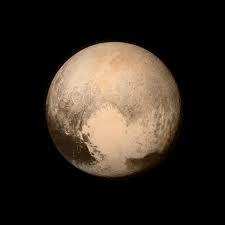 Our guest speaker will be Mark Kochte who will present the latest findings from NASA’s New Horizons Mission to Pluto. Mark is a Mission Analyst (among several titles) at the Johns Hopkins Applied Physics Laboratory. Naturally, the Jan. 2016 Guide Star will have much more on Mr. Kochte’s lecture. Note to Members: The December Holiday Party information and map is posted in the Members Section of the www.3ap.org AAAP website. Information also appears in the emailed December Guide Star which is sent to members.